Titusville, home of Kennedy Space Center, remains under a state of emergency due to a 10,000 acre brush fire threatening homes and reducing visibility on the roads. 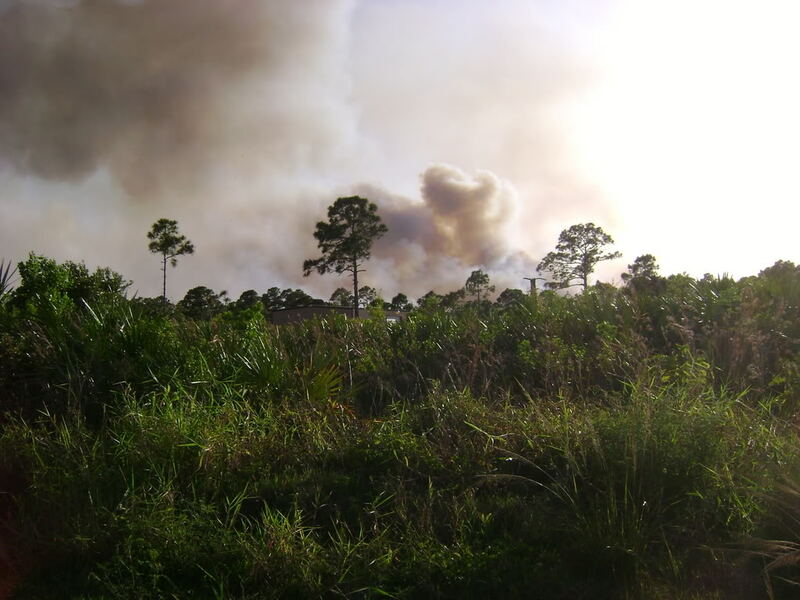 One mobile home and two hunting camps have been destroyed, 200-300 homes are threatened and the county has been placed under a voluntary evacuation, according to Brevard County firefighters. "The conditions were very ripe due to all of the freezes that came through (this winter)," one firefighter told reporters in a briefing, "The vegetation on top of the ground was dead and already dry." The fire, which erupted west of I-95, spread east and as far north as New Smyrna Beach area of Volusia County, firefighters reported.